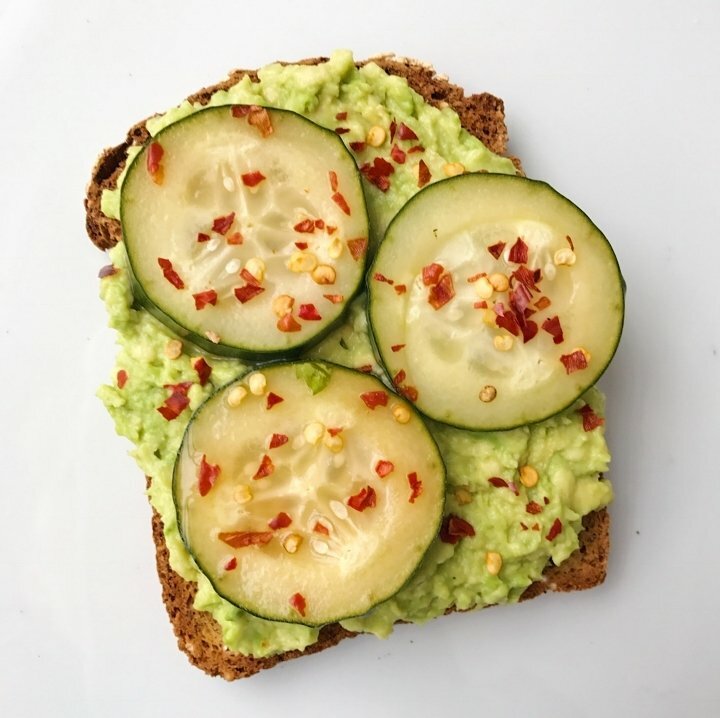 Add a little spice to your basic avocado toast! We are having a late dinner so I am snacking on my newest obsession: Avocado Toast with Spicy Pickled Cucumbers. The avocado was so perfect and creamy and a great match to the pickled cucumbers that had just the right amount of kick. Seriously SO good! You must try! I made the Spicy Pickled Cucumbers a few days ago and honestly can’t get enough. They required no more than 5 minutes of prep. Literally you mix rice wine vinegar, sugar, gluten-free tamarin and crushed red pepper in a big bowl, add the cucumbers and let them stand for at least an hour.